what happened to the seeds I’ve sown? as to why they’ve never grown? 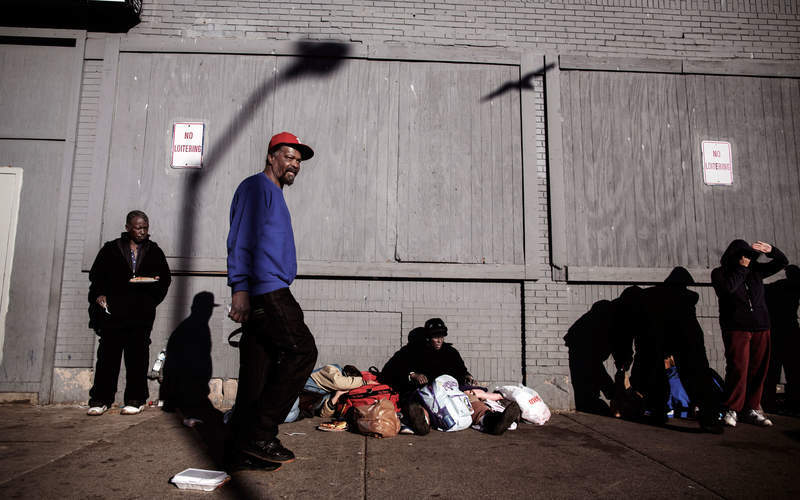 46 million Americans today live below the poverty line. Factories which once employed hundreds of thousands making cars, machinery and consumer goods now lie abandoned, boarded up and decaying. Where once a new generation of workers could rightfully expect well paid jobs to see them through to their retirement, millions across the rustbelt states now face an uncertain future, with only the most flimsy social security provisions in place to assist those who have failed to secure employment and housing. 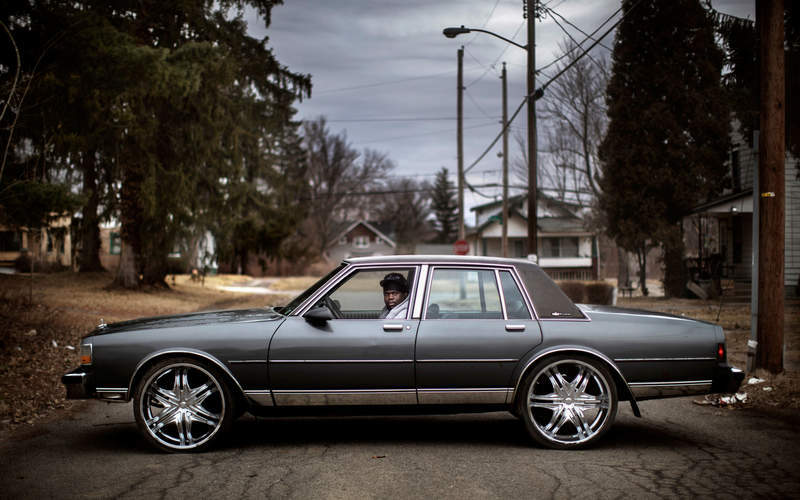 For the past three years, Panos photographer Espen Rasmussen and writer Roy F. Andersen have been travelling through the US Rustbelt – from Chicago and Detroit and Youngstown, Beckley and Williamsport and ending up in New York. Along the way they met, interviewed and photographed ordinary Americans facing a challenging, brave new world. The ‘American Dream’, which saw each successive generation expect to live a better and more affluent life than the one before it, has come to a shuddering end. Whole industrial cities have become ghost towns as industry has declined, forcing many into low paid service jobs with few prospects. Many have to work two or three jobs to make ends meet. Since the 1970s, the gap between the richest 1% of Americans, who take home a fifth of income in the US and the rest of the population has continued to grow, now approaching levels of inequality last seen during the 1920s, the decade of the Great Depression. The anger and frustration of those who see themselves as excluded from the mechanisms of power, unable to take advantage of economic opportunities and derided by the ‘elites’ of a remote government has become a potent force for politicians to exploit. Donald Trump, the Republican nominee for the 2016 presidential election – a man who should have disqualified himself from running for the top job by a series of racist and sexist jibes and charges of sexual misconduct from numerous women – is posing a serious threat to Hilary Clinton, a schooled and seasoned politician who has been forced into a dirty fight for the White House. What happened to the world’s biggest economy, the industrial giant which gave the world the motor car and the military power that still dominates abroad yet can’t keep its own population fed, housed and healthy? Espen and Roy met firefighters, Vietnam War vets, gang members and industrial workers. They went into mines with some of the few remaining coal miners of West Virginia and listened to homeless people living in the abandoned Packard Automotive Plant in Detroit. They ask, as Carol Graham from the Brookings Institution: “Is the collapse of the American dream at hand?”. 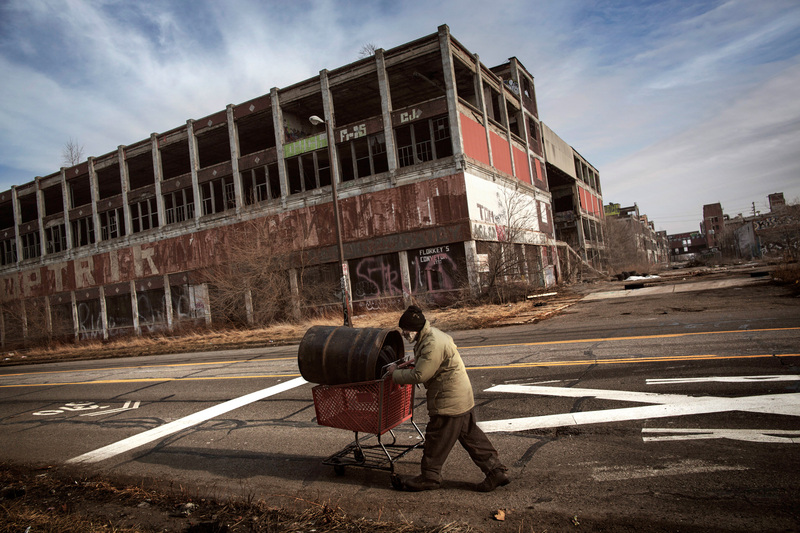 Once the pride of America's industrial heartland, the city of Detroit has lost half its population since the 1940s and filed for bankruptcy in 2013. 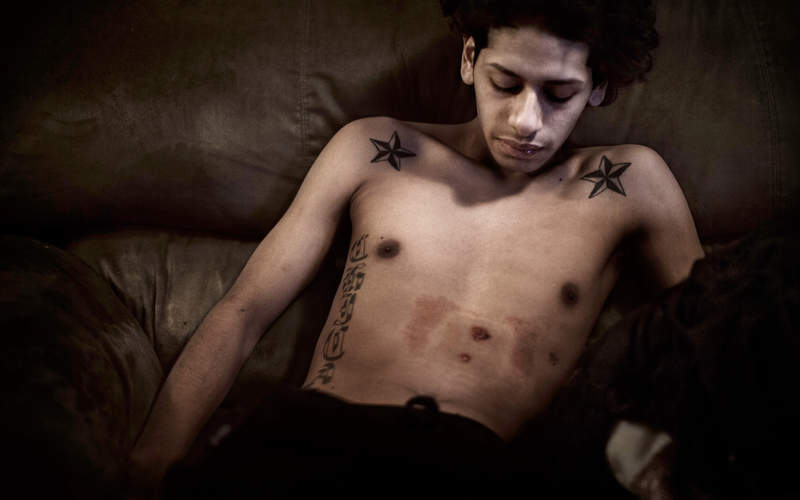 Detroit has been been at or near the top of the table of most violent cities by murders committed in the US since 1985. The city's southern districts are particularly deadly. Coal used to be the gold of West Virginia, but the Obama administration brought in new environmental regulations that, together with lower prices for coal, led to wide ranging redundancies. Coal became a curse for many of the cities build on the black stuff in in West Virginia. Once at the heart of America's thriving steel industry, Youngstown's population has halved since the 1960s and steel mills lie fallow. Yet the city is managing to reinvent itself.